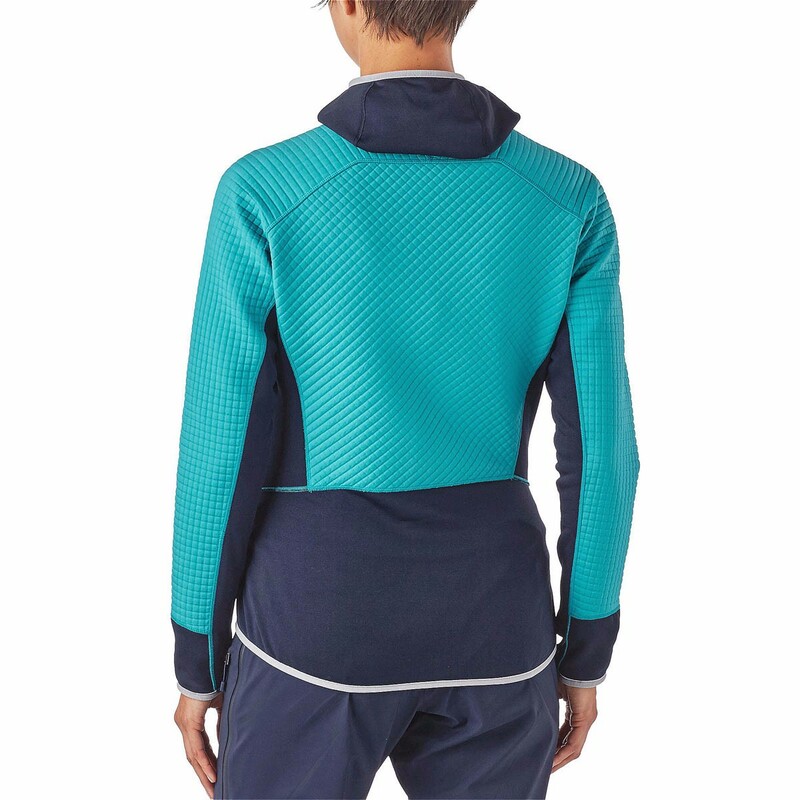 The Patagonia Women’s Dual Aspect Hoody is a real multi-tasker, for both mid-layering and outer layering during your climbing trips. 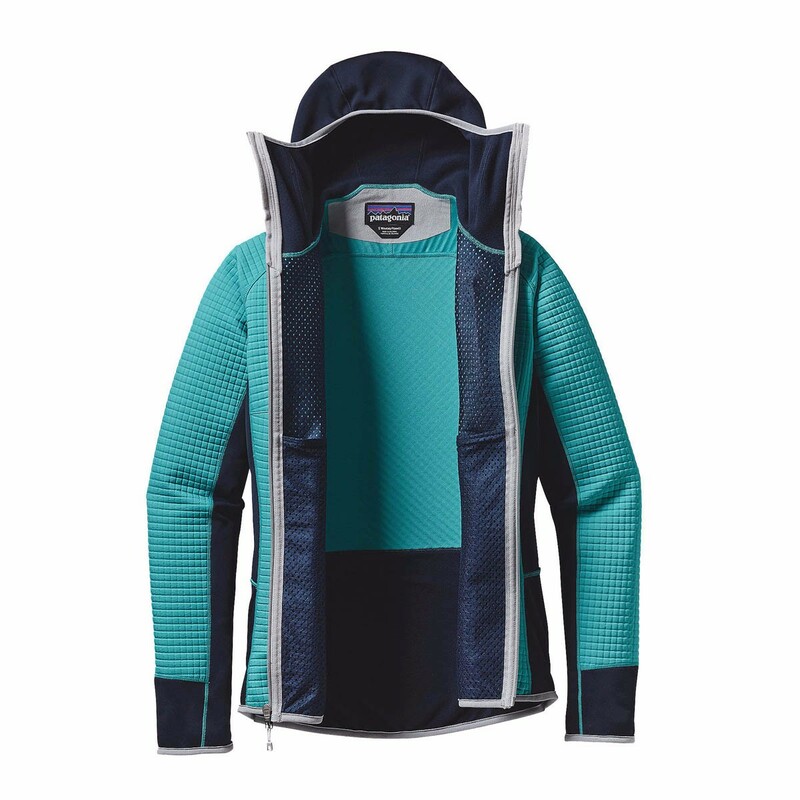 The Patagonia Women’s Dual Aspect Hoodie combines all the body mapped goodness of Polartec Power Shield and Polartec Power Dry, to deliver a hybrid mid-layer designed to manage your body temperature with maximum effectiveness. The Polartec Power Shield in the body and arms provides exceptional wind and weather protection, while the Polartec Power Dry in the underarms and side panels is extra breathable and fast drying for extra efficient moisture transferal when you’re working hard. This makes this versatile jacket ideal for any activity, from cold-weather running, chilly winter rock climbing, to big ice projects. 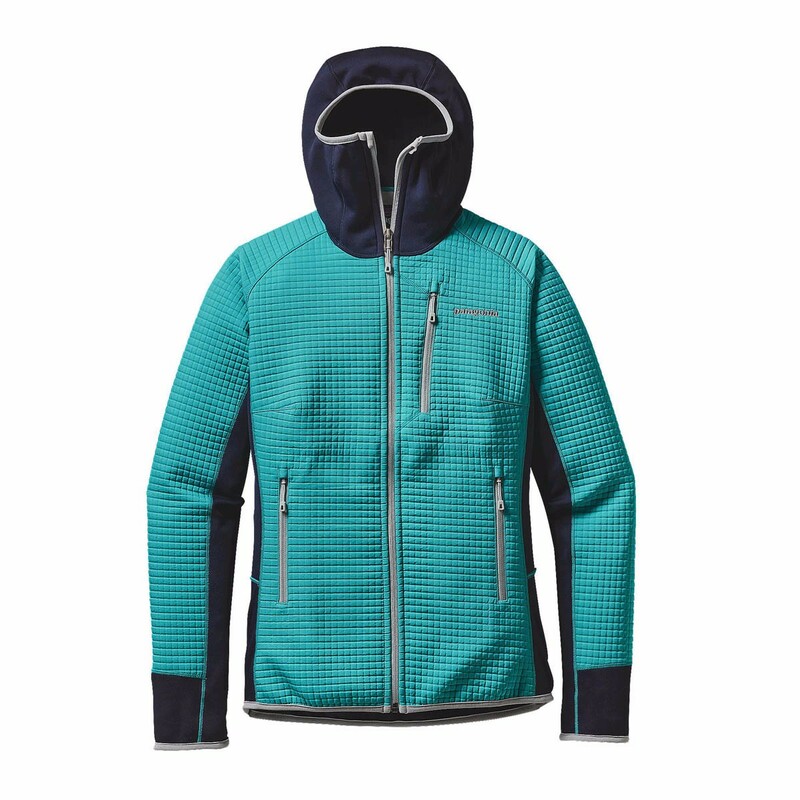 Polartec Power Shield takes soft-shell fabric to another level. Made up of three layers, it has all the comfort of your standard soft-shell, but also provides the perfect balance between stretch, weather resistance and breathability. The first layer is made up of a tight-knit, stretch fabric, which blocks out wind and rain, while the air permeable membrane underneath accelerates moisture and heat transferral. The lofted micro-fibre lining is soft and comfortable, but doesn’t restrict breathability. Polartec Power dry is a high end wicking fabric designed to be worn next to the skin. It provides amazing wicking capabilities because of its specially designed fabric structure, meaning that unlike other chemically treated wicking fabrics, the performance doesn’t decrease over time. This wicking capability quickly removes and disperses the moisture from your skin, keeping you cool when it’s hot and warm when it’s cold.